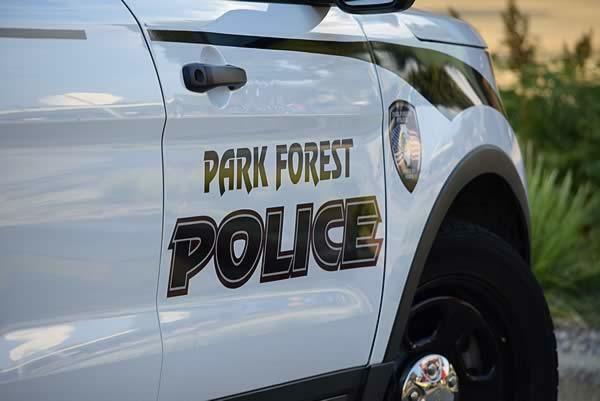 Park Forest, IL-(ENEWSPF)- Editor’s Note: These Park Forest Police blotter reports cover April 8 through April 15, 2018. Charges include a felony driving while license was revoked, DUIs, and municipal citations charging possession of cannabis. One driver who was issued a DUI had a BAC over three times the legal limit, according to police. We are working to provide more details in reports now that we offer subscriptions. Thank you for your patience, and thank you to our growing list of subscribers! Please look for more reports on Thursday, May 10. Zlager R. Howard, 45, 1712 Dixie Hwy., Flossmoor, was arrested on April 8 and charged with driving under the influence, no proof of insurance, and improper lane use. An officer was dispatched to the area of Western Avenue and Route 30 at 12:55 AM to investigate a report of someone driving under the influence. The caller, who wish to remain anonymous, stated that he was following behind a vehicle that was swerving all over the road, according to the report. 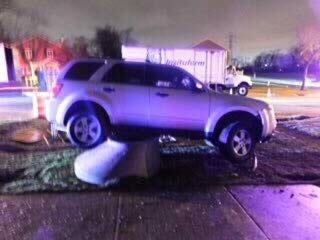 The caller followed the vehicle southbound on Western Avenue from Joe Orr Road in Chicago Heights. The vehicle then turned westbound on North Street in Park Forest. The caller continued to follow the band southbound on Orchard Drive. The responding officer got behind the vehicle as it turned westbound onto Westwood Drive. The officer followed the vehicle and observed it drift over the center broken yellow line, according to police. The vehicle started to turn into a driveway on Westwood Drive when the officer initiated a traffic stop. The driver and sole occupant of the vehicle, Zlager Howard, provided a valid driver’s license but was unable to furnish proof of insurance, according to police. An officer could smell a strong odor of an alcoholic beverage emanating from Mr. Howard’s breath, according to police. After police performed some field sobriety tests, Mr. Howard was taken into custody and transported to the Park Forest Police Department. His vehicle was towed and impounded per local ordinance. At 1:55 AM, Mr. Howard “voluntarily submitted to breath sample indicating a BrAC (Breath Alcohol Content) of .071, according to the report. Raymond A. James, 54, 443 E. 22nd St., Chicago Heights, was arrested on April 8 and charged with one felony count of aggravated driving while license was revoked, operating an uninsured motor vehicle, and obstructed windshield. An officer patrolling at approximately 3:27 PM was at the intersection of Sauganash Street and Shabbona Drive when he observed a vehicle traveling north on Shabbona Drive. The officer positioned his squad car behind the vehicle and the vehicle turned north onto Blackhawk Drive. The officer conducted a law enforcement database inquiry and learned that one of the people the vehicle was registered to, Raymond James, had his driving privileges revoked. The description on Mr. James’ driver’s license matched the driver of the vehicle, according to police. The officer also observed a large object suspended from the rearview mirror, according to police. The officer initiated a traffic stop at the intersection of Central Park Avenue and Sauk Trail. The officer confirmed that the driver was Raymond A. James, the registered owner of the vehicle. As the officer approached the vehicle, Mr. James allegedly stated, “I just want to tell you, I don’t have a license,” according to police. Mr. James’ vehicle was towed per local ordinance. The officer reviewed Mr. James’driving history and learned that he was eligible for felony charges due to his driving record. Mr. James had seven prior convictions for driving while license was suspended/revoked, according to police. Jecoby S. Carter, 22, 45 W. 15th St. #2W, Chicago Heights, was arrested on April 8 and charged with unlawful use of a weapon when an officer observed a vehicle running while stopped against a curb in a parking lot in the 200 block of Forest Boulevard. This was at 6:22 PM. The vehicle’s front right tire was blown and the rim was on the ground, according to police. Still, the driver was trying to drive the vehicle out of the parking lot, according to police. The officer approached the driver’s side of the vehicle and spoke with the driver and lone occupant, Jecoby Carter. The officer immediately smelled a strong odor of fresh burnt cannabis emanating from the vehicle, according to police. When the officer asked Mr. Carter if there was anything illegal in the vehicle, Mr. Carter said he had metal knuckles in the vehicle, according to police. The vehicle was administratively seized due to unlawful use of weapons, according to police. Mr. Carter was released on a personal recognizance bond, or I-Bond. Later that same day, at 10:36 PM, police responded to the parking lot at Lakewood Boulevard and Cunningham Drive near Chase Bank in response to a report of a burglary to a motor vehicle in progress. A caller said that a man was inside a vehicle with a flashlight. Upon arrival, officers observed a man, later identified as Jecoby S. Carter, lying in the back seat of a vehicle. Police observed that the rear passenger window of the vehicle was broken and that there was glass both inside and outside of the vehicle. Police observed a pair of pliers lying on the seat next to Mr. Carter. Mr. Carter was ordered out of the vehicle. He originally complied by showing his hands, but then suddenly lunged toward the center console of the vehicle, according to police. Mr. Carter indicated that he had just had a conversation with the owner of the vehicle who said that he could not get the car started and that Carter could wait for him inside the vehicle. Police then examined the immediate area of the parking lot and observed two more vehicles that were burglarized, according to police. Police located the owner of the vehicle where they found Mr. Carter. The owner said that she did not give anyone permission to either damage or enter the vehicle, nor did she have any conversations with anyone about the vehicle not running. Jecoby S. Carter, 22, 45 W. 15th St. #2W, Chicago Heights, was charged with three felony counts of burglary. This time he was not released, but held in a cell pending transportation to Markham Courthouse for a felony bond hearing. Chantelle Y. Moore, 43, 491 Talala St., Park Forest, was issued a municipal citation on April 13 charging possession of cannabis and a citation charging speeding when an officer traveling northbound on Blackhawk Drive from Shabbona Drive observed a vehicle traveling southbound on Blackhawk Drive at 50 miles per hour in a 30 miles per hour zone, according to police. When the officer approached the vehicle, he immediately smelled and odor of fresh cannabis emanating from inside. The driver, Ms. Moore, told the officer that the vehicle was not hers that the vehicle is in a relative’s name. The officer conducted a search of the vehicle and located an orange glass container containing a plastic baggie with a green leafy substance, suspect cannabis, in the center console. A field test of the substance tested positive for the presumptive presence of cannabis. The vehicle was towed per local ordinance. After she was issued hers citations, the officer provided Ms. Moore with a ride home. Jacoby B. Thurmond, 18, 316 Lakewood Blvd., Park Forest, was issued municipal citations on April 14 charging possession of cannabis and improper lighting-one taillight. An officer observed a vehicle traveling westbound on Lakewood Boulevard coming from Forest Boulevard that had only one taillight illuminated. The officer initiated a traffic stop. The officer smelled a strong odor of fresh cannabis emanating from inside the vehicle. Mr. Thurmond was the driver, according to police. There was also a passenger in the vehicle. The officer conducted a search of the vehicle and recovered a large clear Ziploc baggie containing four smaller clear nodded plastic baggies containing a green leafy plant-like substance, suspect cannabis. Mr. Thurmond advised the officer that the cannabis belong to him, according to police. The vehicle was towed from the scene and impounded per village ordinance. After police issued Mr. Thurmond his citations, he was released from custody at the scene. Kathlyn V. Zagone, 65, 1261 Wood St., Crete, was arrested on April 14 and charged 15 with driving under the influence of alcohol, breath alcohol content over .08, improper lane usage, and driving on the sidewalk. Police were dispatched to the 100 block of Park Street on April 14 at 10:33 PM in reference to a report of a property damage accident, according to police. A complainant advised that there was a vehicle in the grass in front of a residence on Park Street. Upon arrival, officers observed a vehicle parked atop a concrete manhole encasement that was in the grass just east of the site curb of Park Street. The vehicle had damage to its front passenger side bumper and appeared to have driven off Park Street and collided with the concrete manhole encasement, according to police. Police also observed fresh tire marks in the grass. The vehicle was running and Kathlyn V. Zagone was in the driver’s seat, according to police. She appeared to be uninjured. An officer made contact with Ms. Zagone and asked if she was injured. She advised that she was not. Seated in the vehicle, which, again, was perched atop a concrete manhole encasement, Ms. Zagone then asked the officer if he wanted her to pull over, according to police. Her eyes were bloodshot and glassy, according to police, with a strong odor of an alcoholic beverage emanating from her breath while she spoke. An officer performed field sobriety tests and then placed her under arrest. At the Park Forest Police Department, Ms. Zagone provided a breath sample showing that she had a breath alcohol concentration of .254, according to police, over three times the legal limit of .08. Ms. Zagone’s vehicle was towed and impounded per local ordinance. Christopher L. Ford, 36, 11108 S. Bell Ave. #1N, Chicago, was issued municipal citations charging possession of cannabis and open alcohol in a vehicle when an officer driving through the parking lot in the first block of North Arbor Trail at 3:41 AM observed a vehicle parked in the northern area of the lot. The windows of the vehicle were fogged over on the inside and the vehicle was parked away from the rest of the vehicles in the lot. because of the way the vehicle was parked and the appearance of the vehicle, the officer was suspicious, according to police. Upon looking inside the vehicle, the officer observed two occupants, a man and a woman, both of whom were asleep. The man, later identified as Christopher Ford, was asleep in the front passenger’s seat. The woman was asleep in the rear passenger’s seat. The officer observed a hand rolled cigar resting on top of an ashtray which the officer suspected was cannabis. The officer knocked on the window several times to wake the occupants. Mr. Ford unlocked and opened the door, and the officer detected the odor of burnt cannabis. Mr. Ford said that the two of them came out to the car to drink and talk, but fell asleep. Mr. Ford was the registered owner of the vehicle and told the officer that the items belong to him, according to police. After he was issued the municipal citations, he signed the citations and was released on scene, according to police. Kunta Kinte Hughes, 41, 2506 Pomo Ct., Sauk Village, was arrested on April 15 and charged with driving under the influence of alcohol, illegal transportation of open alcohol, improper lane usage, and improper lighting/no taillights. An officer traveling in the area of Western Avenue and Sycamore Drive at 4:18 AM observed a vehicle in front of him that had no rear taillights illuminated, according to police. The officer caught up to the vehicle at Steger Road and followed it as it continued to travel northbound on Western Avenue. The officer observed the vehicle drift from side to side in the lane between Steger Road and Sauk Trail, at least three times, according to the report. After clearing the intersection of Sauk Trail and Western Avenue, the officer observed the vehicle swerved to the left, causing the driver’s side tires to drive on top of the yellow lane markings, according to police. The vehicle then swerved back to the right, driving over the white center dashed lines with its passenger side tires, according to police. Due to the swerving and improper lighting, the officer initiated a traffic stop at Western Avenue and Hemlock Street. The driver, Kunta K. Hughes, told the officer that he had not been drinking. The officer performed field sobriety tests, after which Mr. Hughes was taken into custody. A passenger in the vehicle, Christy L., Cool, 39, 19460 Glenwood Road #107, Chicago Heights, was issued a municipal citation charging possession of an open container of alcohol inside a vehicle, according to police.